Okay, I'm on a bit of a rough streak with my goals. Last month, I though I was being easy on myself by setting a goal to make my husband's weighted blanket, but it was a bit of a colossal fail with the minky not cooperating at all. My brain injury was really acting up. Summer heat makes my brain melt and things that I can usually sort out just seems too overwhelming. I set it aside and will try again later. 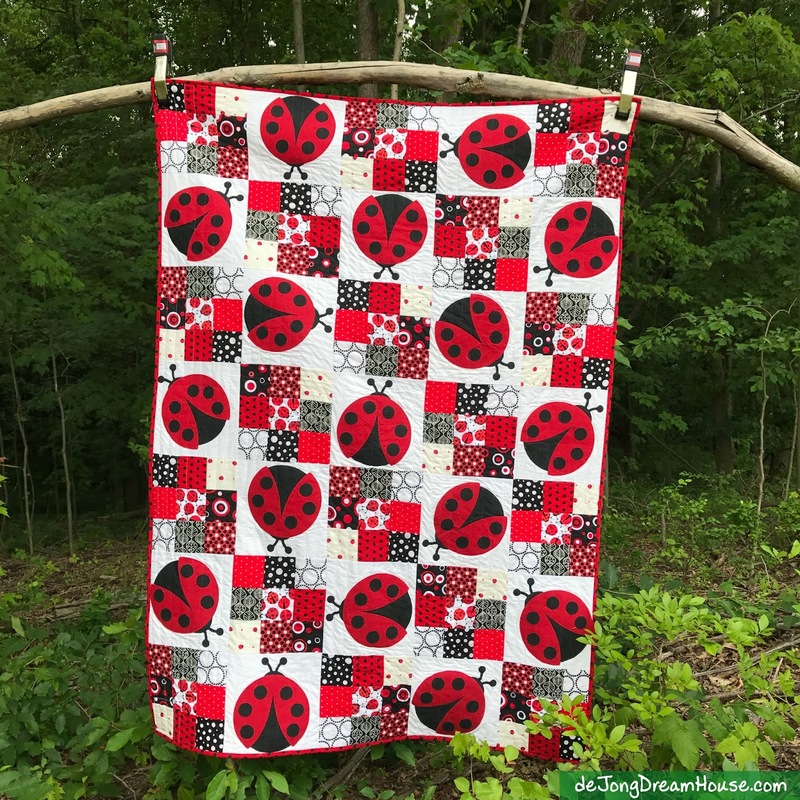 I'm feeling better again and did finish my ladybug quilt that was my One Monthly Goal back in April (!). 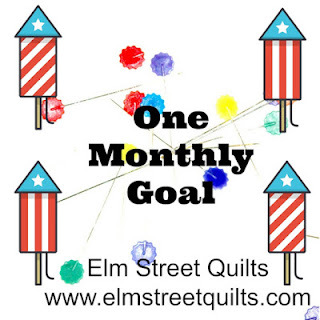 I'm really hoping I make this month's goal, because it has a deadline. We are headed to the Netherlands soon to visit my husband's family. 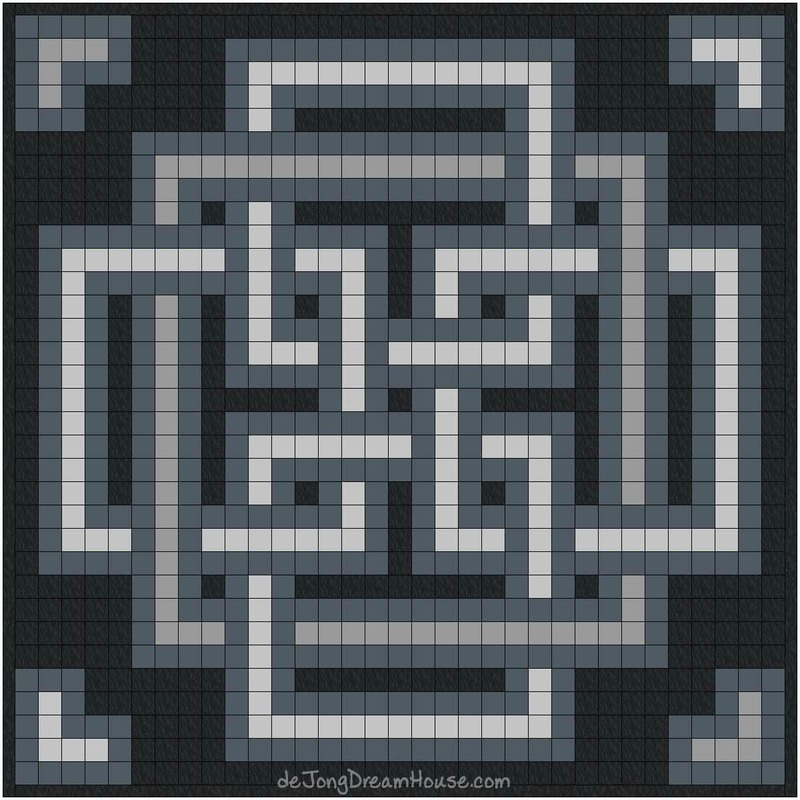 I started a quilt for my sister-in-law. 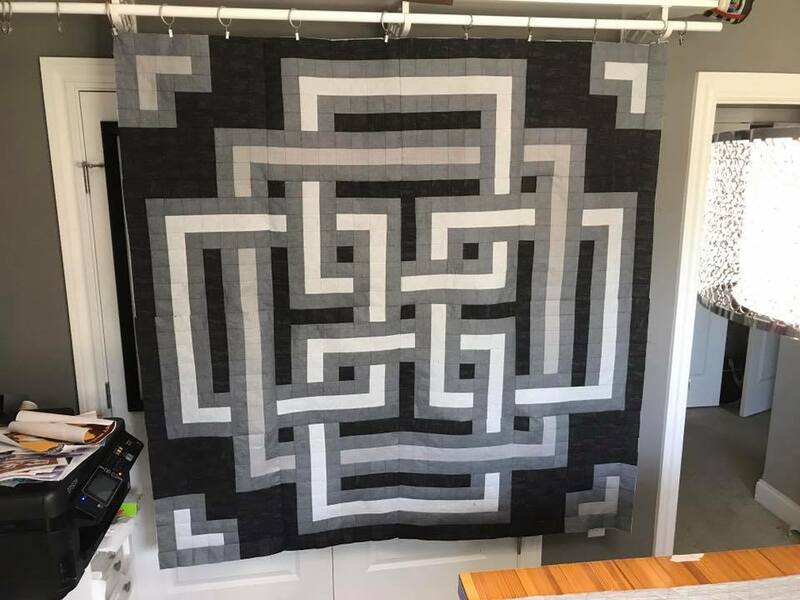 She asked for a Celtic-themed quilt with black and gray. I based the design on a perler bead pattern. I'm calling it Celtic Midnight. I've made good progress so far. The top is pieced. All that's left is to sandwich, quilt, and bind it. I should be able to do that it two weeks, right?